Die-cast stapler fastens up to 20 sheets of paper at once. Die-cast construction features a soft grip for added comfort and control. Top-loading design holds a full strip of standard-size staples (sold separately). Rotary anvil can be turned for simple pinning or stapling. 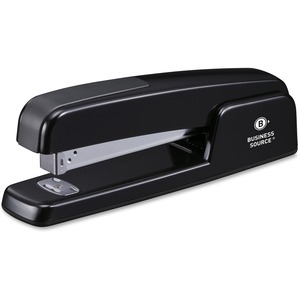 Stapler is perfect for offices, mailrooms, homes and more.